bccs employs dedicated and qualified Counsellors, Social Workers and Therapists all over Essex and East London to provide vital mental health and emotional wellbeing services mainly, but not exclusively, within the school setting. We also have an enthusiastic and committed team in our head office in Rayleigh who oversee the work of Counsellors and Social Workers, who look for ways of raising much needed funds for bccs and look after our administration and finance. The important work of bccs is only possible with the help of dedicated staff; without them we could not continue to support and care for the children of Essex and East London who come to us for help. Bernadette has worked in education in a variety of roles for nearly 30 years, her last substantive post was that of Deputy Headteacher (Safeguarding and Child Protection) at a large comprehensive school in Basildon. It was here that she witnessed the hugely effective work of the bccs counsellors who came into the school. Bernadette was privileged and honoured to be appointed as Director of bccs in Spring 2017 and feels that there is a need to preserve and build on the excellent reputation which the society has built up over the past 35 years. As Director, she enjoys working with Bishop Alan, staff and trustees to uphold, sustain and develop bccs' current vision and services. The wellbeing and dignity of the child is pivotal to her work and her catholic faith is at the heart of her motivation to serve children and their families. Bernadette is a parishioner at the Most Holy Redeemer in Billericay where she is a Liturgy Leader and her children attend St. Peter's Catholic Primary School in Billericay. Julie has been working in fundraising since 1997 when she started her ‘charity career’ in the corporate world, working for HSBC as a Community Manager. This role was very much working on the ‘other side of the fundraising fence’ as it involved her being allocated a budget to give out to good causes! It did, however, give her an insight into the world of charity fundraising and it was this experience that lead to her joining Little Havens Children’s Hospice where she worked as a member of their Fundraising Events Team for five years. 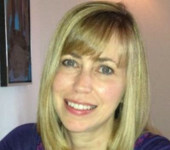 Since 2007, Julie has been working for bccs as Fundraising Manager where her role involves all aspects of fundraising. This includes building relationships with supporters and friends, organising fundraising events and allocating all of our charity places in events such as the London Marathon and our very popular skydives! Julie is also responsible for the publication of our quarterly newsletter. Denice joined the team as Head of Professional Services in September 2015 to oversee the work of our Counsellors and Social Workers. Prior to this, Denice managed a multi-disciplinary team responsible for conducting statutory parenting assessments at Barnardo's in Brent. 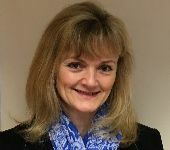 Denice has years of experience working with children and families across the UK in education, social care and youth work. She believes in keeping children at the centre of our work and is an advocate for early intervention. 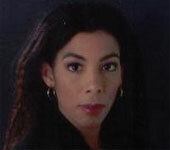 Denice attended school in the UK and at the Ursuline Convent School in Barbados. Later on she studied at the University of East London and at the Tavistock Clinic, London. Denice is also a Magistrate and a School Governor in Newham. 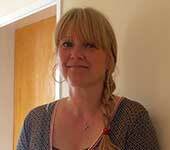 Catherine joined the team at bccs in January 2015, having worked as a Team Leader within the CAMHS (Tier 2) Castle Point & Rochford team prior to that. 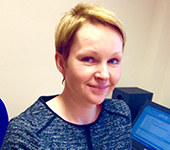 Catherine has a Postgraduate Diploma from the Tavistock Clinic, London. Catherine joined the bccs team with the intention of devising and delivering experiential workshops which allow her to work alongside school staff and to be their ally in understanding the complexities children present us with. Alongside the training, Catherine provides consultation to schools and complex case discussion, if they should need it, to the diverse and experienced team at bccs. Speaking about her work Catherine said: ‘I have been so encouraged and motivated by the response to training from school staff and by their willingness to embrace the vital role they play in relation to vulnerable children and young people.’ Catherine grew up in Billericay, attending the Brentwood Ursuline Convent High School, and is a parishioner at The Most Holy Redeemer in Billericay where she lives with her husband and daughters. Louise has worked in schools throughout Essex and East London for over 20 years in both an educational and therapeutic capacity. Trained as a child/adolescent counsellor, she has supported children and young people from reception to sixth form, alongside their parents. 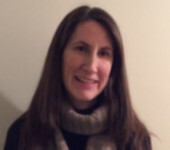 She is also a qualified as a clinical supervisor and supports counsellors and school staff in both schools and private practice. Louise is Lead Trainer for the bccs training programme and works with Catherine delivering workshops and training in schools. She lives in Chelmsford with her two daughters and cats, with her eldest son currently working as a physics teacher in London. Joy started as a volunteer for bccs in 2010 helping with administration duties and then joined the team in 2014 as the Professional Services Administrator working with the Social workers and Counsellors. Joy is married with two daughters and previously worked for over 30 years for Marks and Spencer PLC in HR Management. 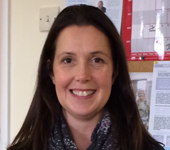 Fiona joined bccs as Finance Assistant in January 2016 after taking a career break to raise her children. Fiona began her career in accounting in 1999 at Cancer Research UK. She then went on to work in the city as a Fund Accountant at several Investment Banks for eight years. Fiona has also done volunteer work in the finance department for Samaritans Purse UK. Libby started working for bccs as Fundraising Administrator in 2014 and enjoys supporting Julie at fundraising events and meeting our loyal supporters throughout the Diocese. Before that, Libby worked at St Peter’s Catholic Primary School for ten years delivering French lessons to pupils from Years 1 to 6. Since 2002, she has been part of the Catechist Team at The Most Holy Redeemer, Billericay, and helps Year 3 children to prepare to receive their first Holy Communion. 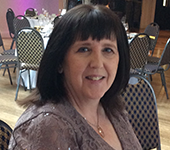 Alison joined the bccs team firstly as a volunteer in 2015 helping with administrative duties in the office and at fundraising events. She was invited to join us as a Trustee in 2016 and has served on the Fundraising Subcommittee until joining the team as Fundraising Administrator in November 2018. Alison also helps to run the Youth Club at the Most Holy Redeemer, Billericay and gives her time at the New Hall School Voluntary Service.